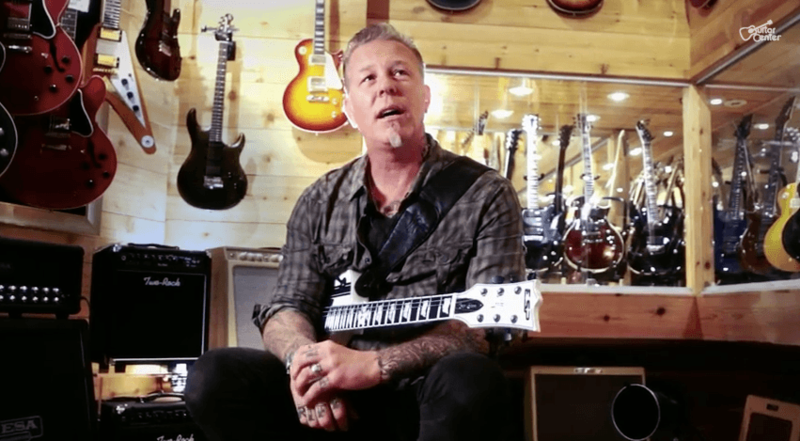 These words belong to Metallica’s James Hetfield, from the opening lines of Guitar Center’s most popular video on their YouTube channel. The video does what many other corporate videos fail to do: It opens on an emotion soon followed by a promise to the viewer. Also, there’s a main character who’s got something at stake and is not trying to hide it. Whoever edited this sure knows the key elements of storytelling. Is this the best piece of corporate media ever? But then again, it’s not just any video on any YouTube channel. In September, Guitar Center took home three top awards for their YouTube channel at CMI’s Content Marketing Awards 2014. To me, the James Hetfield video is the best piece of corporate media I’ve ever seen. It’s a piece of content The Rolling Stone Magazine should have done, but didn’t do. It made me want to play music again and even – I’m sure marketers will love to hear this – visit one of their stores and buy the whole thing! So I reached out to them to learn more about their work and ended up with a long-distance video interview with Dustin Hinz, Guitar Center’s VP of Brand Experience & Entertainment Marketing (Dustin is based in Los Angeles where as I live in Copenhagen, Denmark). “In the Brand Experience & Entertainment Marketing team we are 16 people – half of which are producers, the rest are videographers, editors and filmmakers,” Dustin Hinz explained in his video reply to me. So, it’s by no means a small operation they run. But, the impact is massive. Dustin Hinz estimates that they get nearly 10 billion brand impressions a year. “It’s a number so ridiculous it’s almost not worth talking about,” he ads. One of the reasons why Guitar Center has had such great content success is their ability to continuously get high-profile musicians to participate. The list includes Snoop Dogg, Slash, Eric Clapton, Peter Gabriel, Lenny Kravitz, Babyface, Buddy Guy, Soundgarden and Metallica – just to mention a few. This part of their content program is difficult to emulate, to say the least. But it’s also hard work. The negotiations with musicians and labels begin 4-5 months before the actual recordings. “It’s the most unrewarding and overlooked part of our job,” says Dustin Hinz. That being said, the negotiations often end well since the synergies are there: The musicians (and the labels) get exposed to new audiences while the Guitar Center gets content to share that supports the brand experience and even drives retail. However, according to Hinz, the size of Guitar Center’s reach and audience is not the main reason why their programs attract such high profile musicians. Firstly, the recording quality is extremely high. For instance, the Guitar Center Sessions are taped in 4k video with 5.1 surround sound. It’s some of the best video and sound quality you can find on the web and on broadcast television. Secondly, the whole storytelling approach is appealing to musicians. Agreeing to be part of this is not selling out. On the contrary, it will most likely add to their personal brands. When you have a rockstar in front of the camera in your music store it’s of course tempting to get him to say something like that. But it ruins the opening because it fails to hook the viewers on a feeling. Also, viewers already know who’s talking (e.g. from the title line below the video) so why say it again? Brands need to stop talking about themselves. That’s one of the lessons learned from the Guitar Center case. Another lesson is that you need to identify your underlying message. What are you trying to say? With the launch of their “Greatest Feeling On Earth” brand campaign, Guitar Center has managed to hone in on what their message has to be. “We live in a world where there’s a lot of distractions. iPads and Xboxes. It’s instant gratification. Playing music isn’t easy. There’s a learning curve. A sweat equity that has to go into it. The content talks about the reward, the pay-off. For the price of an iPhone or a watch you can give this incredible gift,” says Hinz. So, in a way, this is the frontier you should look out for: Microsoft and Apple on the one side. Fender and Gibson on the other. Let’s hope parents get it right for Christmas. Co-founder of Orca Social, a member-based consultancy helping B2B companies communicate. From 2011-13, Jonathan brought shipping giant Maersk Line to social media fame as their Head of Social Media. He has won international awards for his efforts and has been featured in e.g. McKinsey Quarterly and Forbes. Jonathan has a background as a copywriter, videographer and concept developer. He holds a MA in Literature and is the author of "Leth og kedsomheden" (2007), a book about boredom.